Armistice Urgent Care and Occupational Health requires no appointment to treat your urgent medical needs. We service patients in Rhode Island ( RI ) and nearby Massachusetts ( MA ). 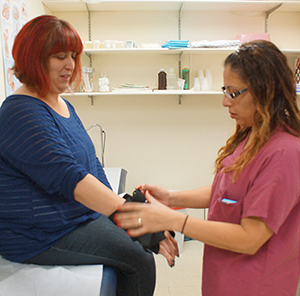 Our highly trained staff is prepared to handle a number of urgent care clinic medical situations seven days a week, with a physician on staff at all times. For more information on our urgent care clinic, please contact us any time. Hold your spot in line, online and do most of your waiting from home with free, convenient Online Check-in. Checking in is not required to be seen at the urgent care. Walk-ins are always welcome and those who already have an appointment do not need to use it. For more information about Online Check-in please see our FAQ page.